One of the funnest things to do in Seattle, is going to the Pike Place Market. There’s tons to do here, and the food is fantastic! Think of Granville Island on steroids. Amongst the butchers, fish traders, bakeries and shops is Beecher’s Handmade Cheese. Beecher’s has two locations: One in New York City, and the original one here in Seattle, which opened in November 2003. I was told by @yvrbcbro that their Mac and Cheese was not to be missed, and it’s one of the best in the world. Of course I had to go and try it out. 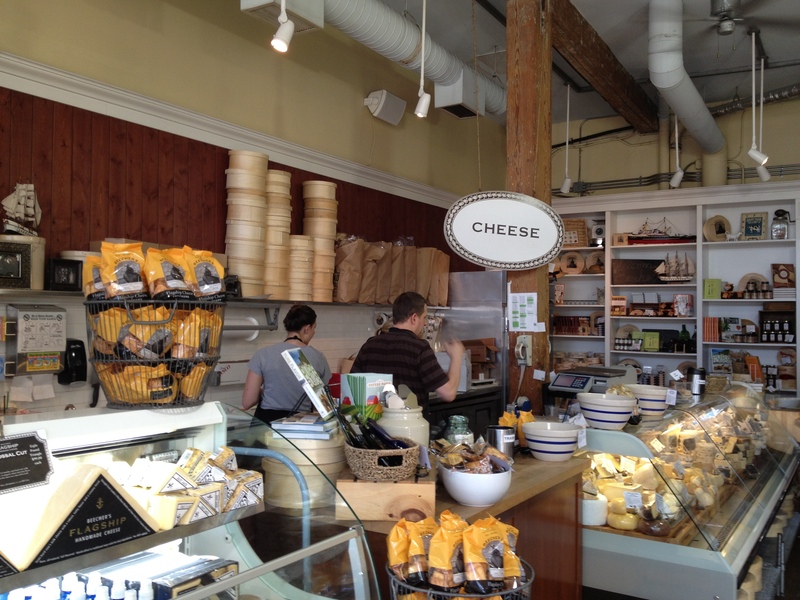 The store doubles as a deli and cheese factory. You can see the cheese makers at work while you have your lunch, which I thought was pretty cool. They offer paninis, soups, and of course, their famous mac and cheese. I ordered the small size for $4.75, which by the way, it’s plenty. I also ordered a lavender simple soda. The soda was very mild in flavour and only 70 calories, which was good, as I expected the mac and cheese to be very, very rich. 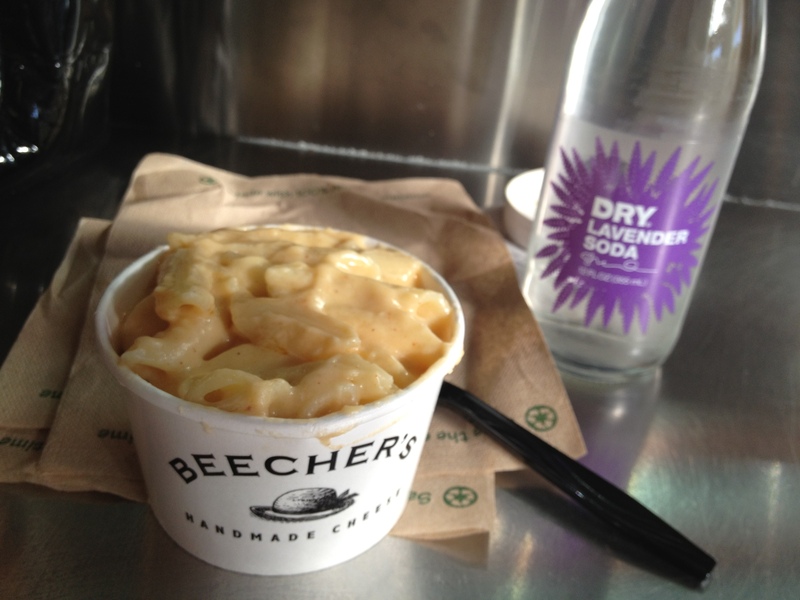 The mac and cheese was made with penne pasta and a mix of Jack and Beecher’s flagship cheese. The sauce was very thick and very creamy. It had a very subtle hint of spice, but overall it was nothing but melted, cheesy goodness. If you’re looking for a mac and cheese with a little more bite, they also have their “Mariachi” version with veggies and roasted chilies. This one was a very rich dish, and maybe not the best one to have if you’re planning to continue to walk around the market afterwards. But definitely take it to go and enjoy it later. If you’re interested in making it at home, I found the recipe online. Unfortunately, Beecher’s doesn’t deliver to Canada, but if you’re in Seattle, why not pick some up to take home.